Every one of us want our children to be the best performers in their academics and other school/ social activities. We want them to do well in their activities, study hard and get good results so that they could succeed in their life. But we have to understand that our children need a supportive hand that could lead them towards the ramp of success. Yes, listen attentively whatever your child is saying. Most of the times, parents ignore questions/ statements from their children. Because for them, other things sound more important. Remember, if you continue ignoring your child’s concerns like this, it may discourage them to communicate with you. Try to make the conversation between you and your child a learning experience. This will boost your kid’s confidence to interact with you openly. Showing your kids that you believe in their capabilities and telling them that you know they can achieve. This will not only increase their interest but also encourage them to get good results. Also, it is equally important to make your child realise that his/ her performance in the school matters a lot. If you will show your hope for your child, he/ she will really perform better at school, as this will push your child to set higher objectives for self. The more you talk to your child, the better he/ she will become. Kids are like clay in potters’ hand. You can mould them the way you like. If you do not talk to your child, then you may create a great communication gap between you and your child. Moreover, talking to your child will make you understand about their hobbies, behaviour, taste and preferences for different things. This is really important for parents to know about. And, you can also make them understand the areas of improvements by telling them the difference between right and wrong. This is the most significant responsibility of every parent. Before anyone else, a parent is the first and the most important teacher. So, it is very important for every parent to actively participate in their child’s routine activities. This may include knowing their friends, joining your child in their social/ school events, becoming friends with the parents of your child’s friends and so many similar things. If you really want to build a strong bond with your child then you should ensure that you play with him/ her. This will not only make your child friendly but also more open with you. And, he/ she will also feel more secure in your company. This is the primary responsibility of a parent to find a good tutor for children. There are many highly experienced tutors in Australia offering online tuitions to help your child in their subjects. 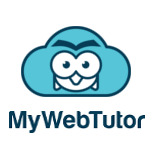 You can find experienced teachers on MyWebTutor according to your requirements. MyWebTutor is an online tutoring platform that provides in person tuitions through virtual classroom sessions across Australia. It is more convenient to access and also save time that your child would be spending to reach the coaching centre. And the foremost advantage of MyWebTutor is, you can also supervise your child when he/she is taking online tuition at home. Children feels really good when they find their parents getting involved in their activities. It builds a secure bond between child and his/ her parents and helps in developing child’s social, intellectual, emotional and physical well being. Which ultimately results in helping your child succeed in their career goals.